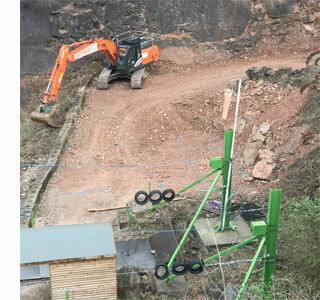 The ground works are now complete for the installation of our new zip wires for the Wire Zip Slide. 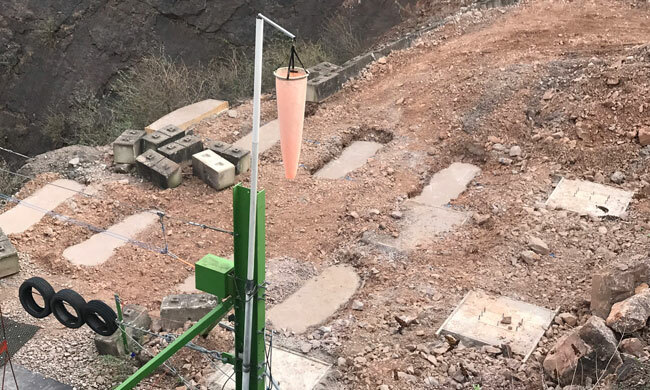 50 tonnes of concrete have been used to create the footings for the new structure. We expect the new zip wires to be up and running for Easter. We are carrying out site ground works during March and April. These are for the new Wire Zip Slide and staff accommodation block. Visitors over the last couple of weeks may have seen the infrastructure works being carried out throughout the site. The National Diving & Activity Centre will be closed to the public for all activities from 9PM Sunday 14th January 2018 until 4PM on Friday 19th January 2018. Scuba Diving resumes at the site on Saturday 20th January 2018. General site infrastructure works are taking place and the site will be closed for all divers and visitors; this also includes the Wire, Wigwams, all Diving and The View Cafe Bar. The site will be back to normal opening times on Saturday 20th January 2018. The National Diving & Activity Centre will be closed to the public for all activities from Monday 20th March until 1600hrs on Friday 24th March 2017. Scuba Diving resumes at the site on Saturday 25th March 2017. The site will be back to normal opening times on Saturday 25th March 2017. Here are some photos of some of the latest infrastructure works taking place on site for the benefit of our divers and water users. This new area has recently been concreted over with 15 tonnes of ready mix concrete to create a new walkway and vehicle turning circle. 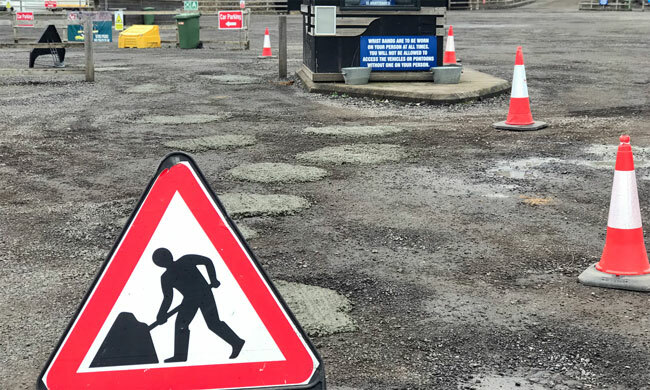 This is part of the ongoing infrastructure works throughout the site, that include a new Children’s Play Area and improvements to the Car Park surface. Other improvements throughout the site are on their way. 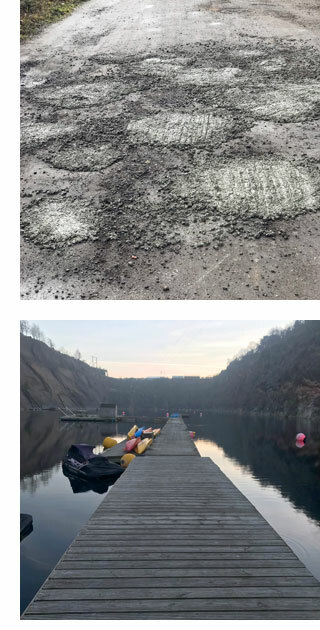 We hope you like the recent improvements to the car park at the National Diving & Activity Centre. At the start of October we had 400 tonnes of road chippings delivered, laid and rolled onto the car park surface using heavy machinery. You’ll be pleased to hear that this has filled most of the holes! 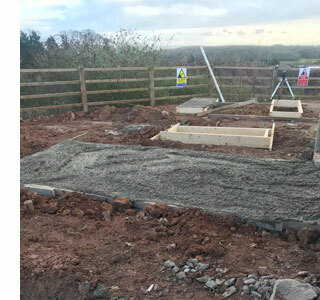 We’ve recently been carrying out groundworks for a new £35,000 ANUA Sewage Package Treatment Plant at the NDAC site. It may not be the most glamorous of developments, but it contributes to the continuing investment and improvement of the NDAC’s infrastructure. This sewage plant will support the new Deluxe Wigwams and the growth of the site over the next ten years. The images show the groundworks taking place to open up a trench, 16 metres long and 3 metres deep. Due to the limestone in the ground, this is no easy job and progress is very slow. 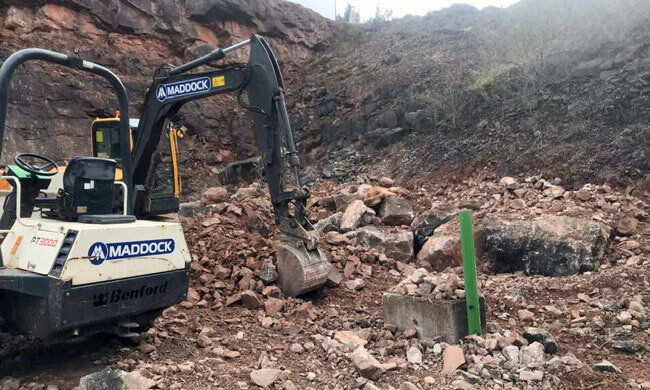 With the groundworks, this project is expected to cost in the region of £50,000 and forms part of our ongoing commitment to improve the your experience at the NDAC.